Little jar? Surely you meant impressively vast and weighty jar? It is the day after for me, and I am surprised at how much better I feel this morning than I did last night. Lying there chatting with the surgeon and nurse while feeling the sensations that got through local anesthetic was surreal but not as bad as I'd feared. And now that I have had the experience... I am still not going to watch the video in the first post. Just don't rush your recovery. Glad it seems to be going well. So where do I get my members card? So where do I get my "members" card? 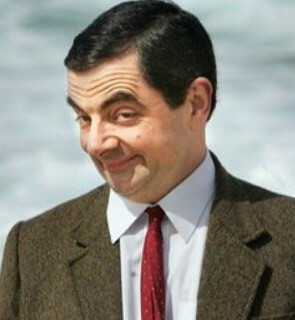 I have my appointment for two weeks from Friday. Well I had to reschedule my apt to Dec. because of some silly health insurance thing that says I have to wait a month after a change providers. Did you guys have to get a consent form from your wife's before the doc would do the surgery? This seems mildly BS. Mrs. Mono is on-board but other then me who cares? They are my balls. While I had my testicles removed entirely, I imagine some of the experience is similar, especially with regards to the local. Did they jab you with a needle in the scrotum 7-8 times? It really wasn't painful per se. Just a really unpleasant sensation that I am glad I'll never feel again. At least not there anyway, heh. That is silly. I hate gatekeeping like that. It is so obstructive to what I feel should be a person's rights over their own body. Once you have yours, you get to join the bowling league! Just be sure to polish your balls well. I didn't have a form, but did have a discussion with the doc prior to make sure I understood what I was doing. It really comes down to the doctor you choose. The guy that performed my orchiectomy didn't even ask that, I think. When I had it done, oh so many years ago, the initial meeting with the Dr had to include my wife. It was to make sure that it wasn't a spur-of-the-moment thing I would regret (and ask to get reversed) later. The surgery, like I said above, is about 9 minutes. The reversing? Not so short or trivial. I had to have a discussion with the doctor but they didn't need the permission from my wife to do what I wanted with my own body much like how ladies shouldn't have to have permissions from anyone to do what they want with their bodies. This handsome trophy is awarded to those outstanding citizens who acknowledge6+billion humans on Earth is more than enough, and who put their money wheretheir gonads are. Anyone, including biological parents, who has chosen permanent, surgicalcontraception (vasectomy, tubal ligation, hysterectomy, etc. ), may downloadthis animated gif. Please include a link to this page when proudly displayingthe Silver Snip Award on your website. This award is reserved exclusively for those brave pioneers who have nevernever reproduced, and never will. The Golden Snip Award honors childfreeindividuals who have chosen permanent, surgical contraception (vasectomy,tubal ligation, hysterectomy, etc. ), in order to not create more Homo Sapiens.Adoptive parents who have never conceived, and who do not support the fertilityindustry (surrogate mothers, egg donors, IVF, sperm banks) may also downloadthis animated gif. Please include a link to this page when proudly displayingthe Golden Snip Award on your website. 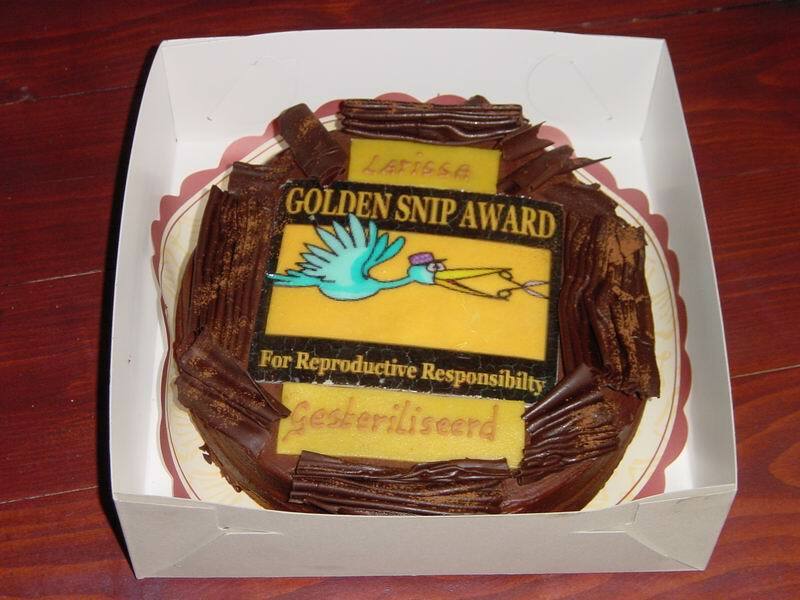 Larissa van Berchum of the WorldChildfree Association celebrated her tubal ligation with this beautiful Golden Snip Cake. Mmmm, chocolate. I was watching a show following people in the medical system yesterday and laughed out loud when they used an actual bag of frozen peas as an ice pack on the guy that had just had a vasectomy. I guess that's the cheapest one-use option. One use? Hah! Those suckers refreeze beautifully, for future icing. Seriously, put it in a freezer bag and use forever. They are great as they will fit any position, such as your crotch. 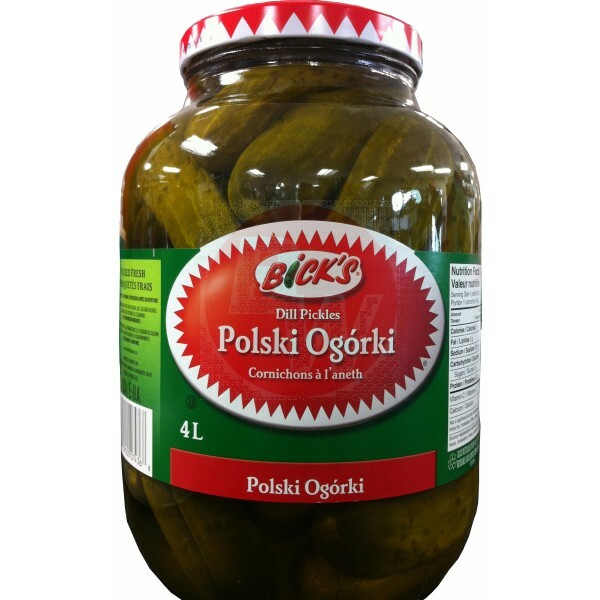 Also super good for knee and elbow injuries. Without dipping too far into D&D, you kind of got a taste of the patriarchal medical system that a lot of countries have in place for women. I'm actually quite happy to hear that it is an even split in your neck of the woods MonoCheli. Three cheers for equalism, and no, I'm not being snarky, or sarcastic, I'm actually glad the rules are in place for both men and women. It would be better if it didn't exist (my body, my choice), but I'm glad there is a consenting burden in place for either party undertaking the procedure rather the one sided one we have down here. Frozen blueberries work just as well. It's what we had at the time. Weird. I had the discussion about whether I was sure, but no spousal consent was required or even brought up. Yeah some legal consent thing he said. Something to do with a wife sewing a doc for giving her husband a vasectomy. Next Friday for real this time. I hope. I tried to earn the Golden Snip award, but apparently my body isn't cooperative with the standard simple vasectomy procedure, and the full surgical procedure (still outpatient) is prohibitively expensive for us and not covered at all by insurance. 'MURRICA, YEAH! Well I am all snipped up. That was totally not bad at all. In and out in about 30 minutes. I'm getting tender now that the local is wearing off but all told not bad. Just be patient and slow going. It's easy to think you are more healed up than you are. If it helps, visualize what tearing up that area will be like.... VISUALIZE IT!!! +1 to what Lunchbox says. I thought much as you did Mono so I went to the train museum with my kids and wife's family, as well as a hockey game the next day. Dumbest thing I've ever done. Sit on the couch all weekend with your bag of peas and relax. The body must heal. Getting ready to leave here in about an hour to go get my vasectomy. Feeling some nerves.